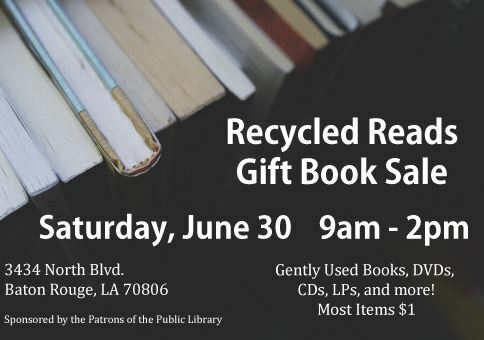 Get some summer reading inspiration at the Recycled Reads Gift Book Sale! Gently used books, DVDS, CDs, and more can be found at the low starting price of a single dollar. Come out to 3434 North Boulevard this Saturday starting at 9 AM to find the perfect new used book for you!